Discover How To Quickly and Easily Find Profitable Niches. One of the hardest things marketers have to do is pick a niche to market in. This choice can make or break your efforts to make money online, and far too many marketers make the often fatal mistake of leaping into the weight loss or make money online niches. Because these are high traffic niche with a lot of money to be made in them, many people feel they will leap into these niches because they should be easy to make money in. These niches are the hardest niches for a new marketer to make money in. The competition is fierce, the buyers are savvy and you can quickly find your resources and motivation drained as you lay on the verge of giving up. Whilst there is money to be made in these niches, there are other niches that are much easier to make money in when you start out. If you are determined to go into either of these niches, then do so when you are established and have learned the ropes. You will be in a much better position to tackle them. 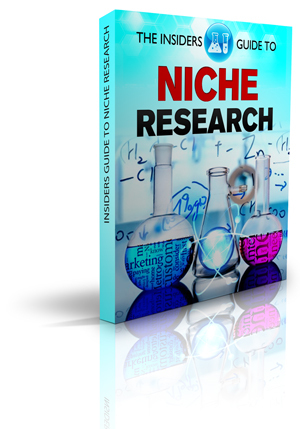 This report is all about how you can find profitable niches easily. Don’t worry, there are tens of thousands of them out there that you can work in and make money from. What to look for a in a niche.